Bridgestone South Africa's ongoing Tyre Safety initiative enters its tenth year in 2016. Since the project started with pilot surveys in two locations in 2007, it has grown to five to six surveys a year, conducted in both inland and coastal areas of South Africa. 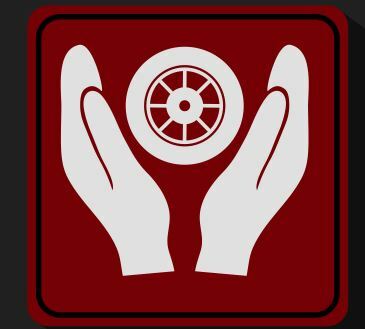 "Almost 45 000 tyres on South African motorists' cars have been checked for condition and inflation pressure since the project was launched," said Bridgestone General Manager of Marketing, Tony Burns. "The project has shown that there are clear differences in tyre condition in different areas of the country, and the data we have gathered gives valuable insight into how South Africans look after their tyres." In the final survey of 2015, conducted late last year in Bloemfontein, a notable improvement was seen over the results of Bridgestone's previous survey in the city, conducted in 2014. In the most recent survey, a total of 504 tyres were checked, with 94 percent showing the correct inflation pressure, a substantial jump over the 82 percent of the previous year. More notably, the percentage of tyres whose pressure was found to be low dropped from 12 percent in 2014 to just over one percent. "This suggests greater awareness by the public of the importance of regular tyre pressure checks," Burns commented. "Under-inflated tyres are more likely to overheat, leading to severe tyre damage and possibly even a blowout," he said. The percentage of tyres in an unsafe condition due to cuts, bruises, or excessively worn tread was also very low in the most recent survey, at three percent, down from four percent in Bloemfontein's 2014 check. Over the years, the project team has kept track of the results of each survey, showing the high and low points. In terms of inflation pressures, the most disappointing survey was in Lonehill, Johannesburg, in 2009. Fully 46 percent of tyres were found to be incorrectly inflated. The top survey for inflation was in Centurion in 2013, where just two percent of tyres showed incorrect inflation pressures. The worst returns for tyre condition came in the 2008 Cape Town survey, with a fifth of all tyres examined being found to be in need of replacement. The top scoring survey for condition was 2014's Roodepoort survey, with just 16 out of 1560 tyres (one percent) not making the grade. "2016 is going to be a bumper year for Tyre Safety Checks," Burns said. "Not only do we have a full programme of events lined up, but we will be visiting Mpumalanga for the first time in the project's history. Tyre Safety is one of our most important projects and we are looking forward to expanding it in the future," he concluded.